National Ag Statistics Service cutting reports, staff and streamlining reporting system despite concerns. First word of down-sizing changes for USDA's National Agricultural Statistics Service came in August in a conversation with NASS's Pennsylvania State Director Kevin Paulter. Last Monday, NASS announced only part of its scale-back plans due to current and anticipated funding reductions. Nationally, most survey data compiled at the state level will be analyzed at a new center in the St. Louis area, according to Paulter, instead of being done in state field offices. Staffing at many state field offices is also being scaled back, except for designated regional offices. Pennsylvania's office in Harrisburg is to be one of those regional offices. POOR TIMING: Eliminating January's Sheep and Goat Report may delay market information about one of the largest shifts of sheep in two decades. In last week's announcement, NASS officials worded the changes as follows: "NASS conducted deliberate reviews of all programs against mission- and user-based criteria, aimed at finding cost savings and forward-thinking business efficiencies so that key timely, accurate and useful data remains available in service to agriculture. As a result, the agency is discontinuing or reducing a wide range of agricultural survey programs. "The decision to eliminate or reduce these reports was not made lightly, but it was nevertheless necessary, given the funding situation. Because of the timing of the agency's survey work during the coming year, these decisions are necessary now. In general, U.S. ag industries haven't had a strong reaction to the changes. Concerns remain, however, for eliminated reports on smaller-scale industries, even though some of the data would be gathered via the every five-year Census of Agriculture. The next will be conducted beginning in January 2013. 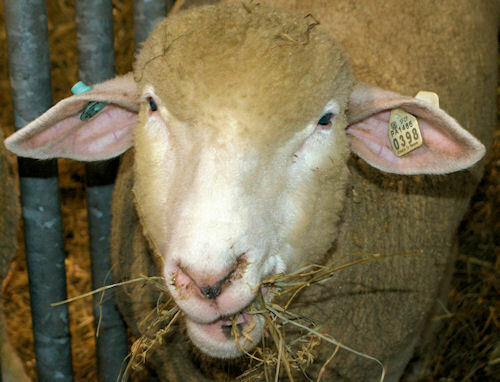 One of the strongest objections came from the American Sheep Industry Association. "NASS decided to eliminate the only annual report they provide for the sheep industry," says Peter Orwick, ASIA's executive director. "Our requests this fall to continue the report were not met. We haven't been able to identify an alternative vehicle to conduct a national inventory count. "The department's timing couldn't have come at a worse time. Because of the drought in Texas, projections indicate that half of the sheep in the nation's largest sheep-producing state have been sold into possibly more than a dozen states around the country. A January 2012 report would have helped analysts document one of the largest shifts in sheep numbers of the past 20 years and allowed companies to make decisions on product marketing and lamb and wool procurement." Editor's note: Elimination of January's Sheep and Goat Report won't affect reports scheduled for other months.